Our Couch is Now Open! 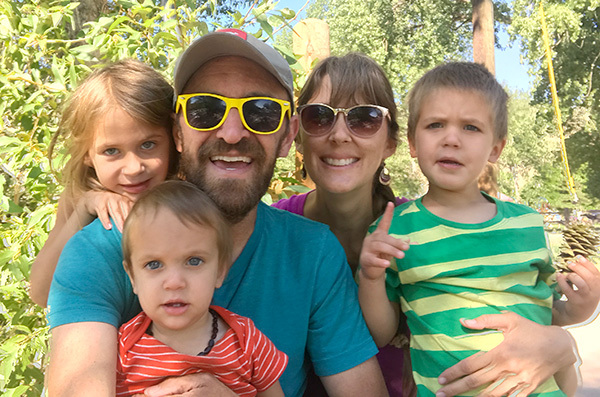 My love of Couchsurfing started about seven years ago when I lived with my sister, Kaye, and her husband, Chris: before Caleb and I married. Chris and Kaye introduced me to this wonderful practice of hosting strangers and I’ve been hooked ever since. Caleb and I have gone through seasons of open and closed couches (mainly due to children being born), but now I am happy to announce that our couch is open again! Now, if you are unfamiliar with the concept of Couchsurfing you may find this practice odd. Let me tell you a little more about how it works and why we love it. The Couchsurfing website works like Facebook in that everyone has a profile. Folks who need a place to stay can search profiles of open couches and message hosts they are interested in. Hosts can then read the profiles of potential surfers and either accept or decline their request to stay. Profiles of both hosts and surfers usually have reviews, which is a great way to see a track record of the person’s hospitality. We feel like the system is very safe and have never had a bad experience in the seven years we have been a part of it. In fact, we absolutely love hosting! We have met dozens of amazing people from different walks of life. We enjoy listening to their stories and also sharing ours, often over meals together. 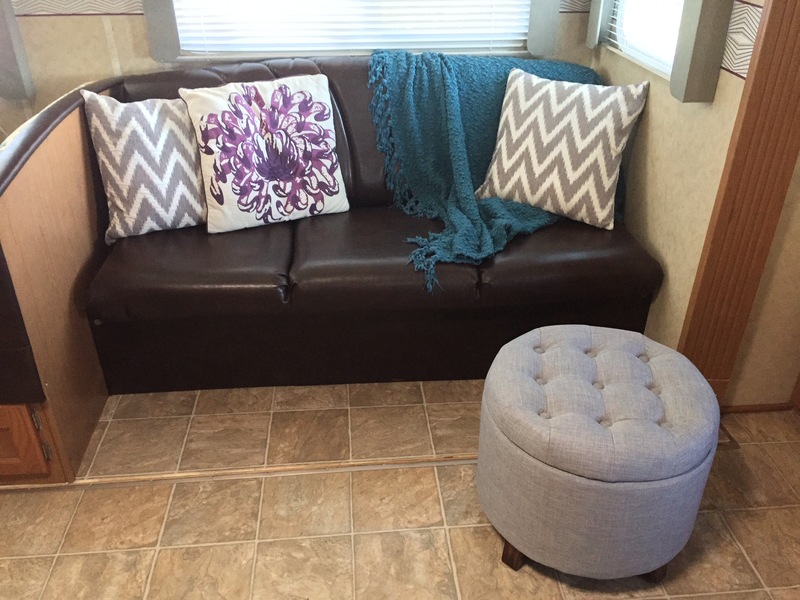 You might be thinking, “Where are you going to put guests in your tiny home?” Well, we have a couch and dining table that fold out into two small beds. 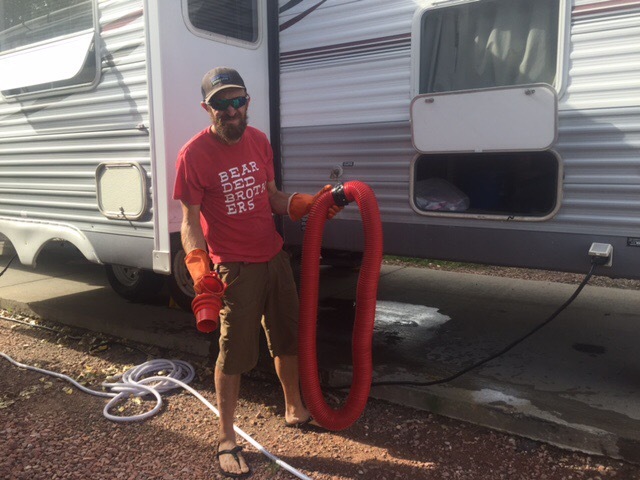 Additionally, some RV parks will allow an extra tent set up outside, so that might be an option for some surfers. 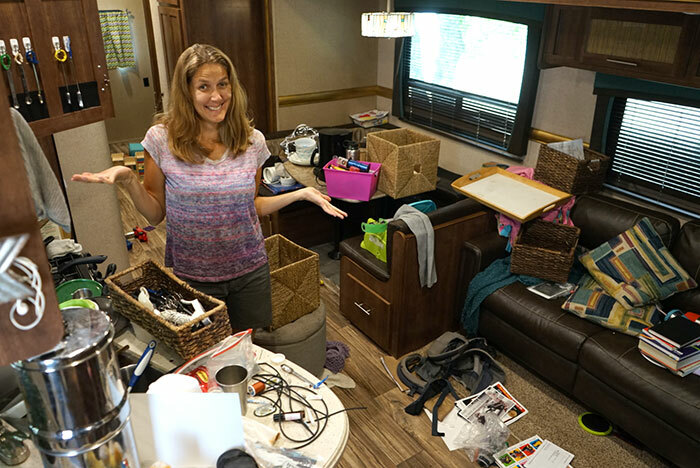 We know our home is snug, but we never want it’s size to keep us from showing hospitality. Having people stay as guests in our home is one of the best ways we have found to build relationships with people who are different than us, learn from them, and share with them our hope in Jesus. We are looking forward to sharing this adventure with our kids too, as an opportunity for them to learn and grow as they meet new people. We are heading to Utah next week, staying for three weeks. We are really hopeful that we will host our first couch surfer while we are there. Now that you’ve read this, don’t be shy. Come on over and stay with us! 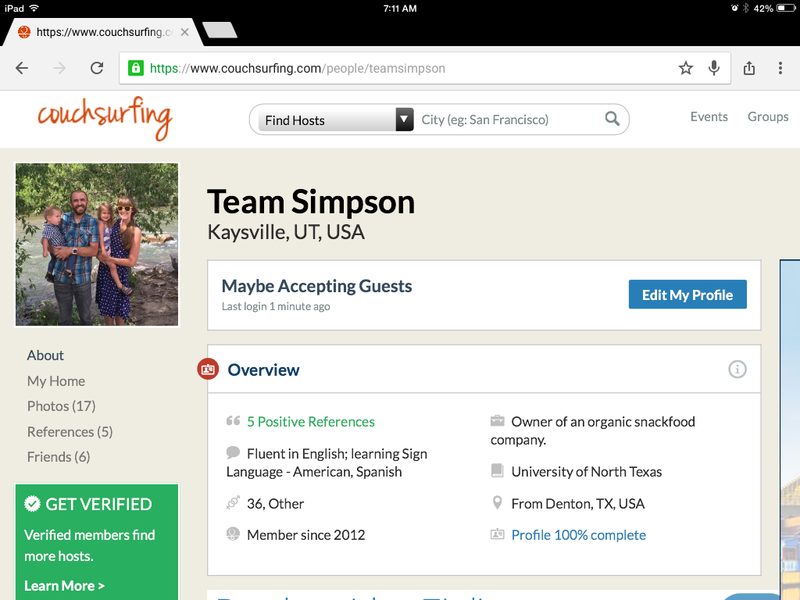 Our profile on CouchSurfing.com is Team Simpson! Memaw and Pepaw wish we could couch surf. We miss y’all terribly! We can’t wait for y’all to come back home. We are so glad y’all are enjoying your adventure. We are very proud of y’all! We pray for you safe return to the great state of TEXAS! It’s like a whole other country! Did I mention that we miss y’all terribly and can’t wait to see y’all? LOVING Y’ALL TO THE MOON AND BACK!!! GO TEAM SIMPSON!!! You guys are welcome on our couch anytime! We love you too and miss you much.